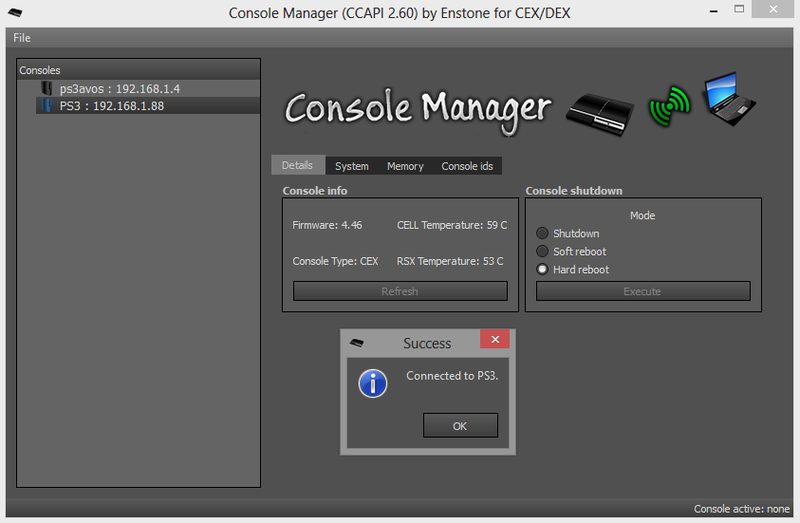 Developer ‘Enstone’ of ControlConsoleAPI (CCAPI) has released a small update which gives support for 4.70 CEX cobra/non-cobra. For those unaware of CCAPI, it’s a software that establishes a connection between your PS3 and a PC- ultimately, allowing you to control the PS3 from your PC. All of the sprx that are present in this folder, will be loaded at PS3 boot. Just download and run the CCAPI pkg on your PS3. It will tell you to reboot, and it’s done. You only need to do this once. Just run the pkg again.